I can solve and write my own multiplication word problems. The teacher will read Each Orange Had 8 Slices aloud to the class. 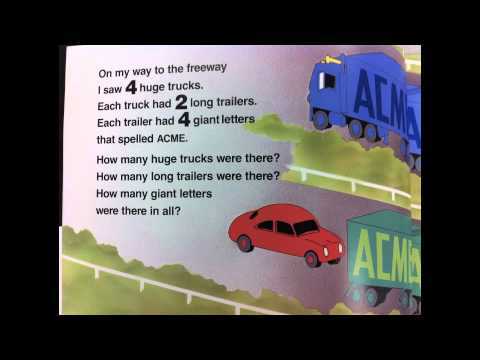 Each page describes a scene with groups of objects and asks questions in multiplicative word problem format. After reading each page, the teacher will pause and ask the students for insight about the posed problem. Each problem will be solved by the whole class. After the read-aloud, the teacher will ask students to individually create their own page to add to the book. Each student will be given a template to fill out and illustrate. - Knowledge: The students will solve word problems given in the book. - Comprehension: The students will create their own multiplication word problems and correctly solve them. - Kinesthetic: The students will create their own illustrated word problems using the template. - Logical: The students will create and solve multiplication word problems. Closure: The students' word problem pages will be compiled into a class book and then read aloud to the class and discussed in the same fashion as the original book was. Benefits: This activity integrates reading into a math lesson. 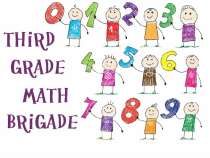 It also integrates art (illustrations for their word problems) and allows the students to be creative with their math by coming up with their own problems rather than solving a textbook's. The presentation of the book is very beneficial in identifying multiplication as a real-world grouping of objects. The book is also catchy and visually appealing to students who won't even realize it's a math lesson!